Prototype: German Federal Railroad (DB) class 118 electric locomotive in the basic paint scheme of ocean blue / ivory. Road number 118 028-0. The locomotive looks as it did around 1978/79. Model: The locomotive has an mfx digital decoder and extensive sound functions. It also has controlled high-efficiency propulsion with a flywheel. 2 axles powered. Traction tires. The locomotive has triple headlights and dual red marker lights that will work in conventional operation and that can be controlled digitally. The lower headlights are the so-called "Stielaugen" / "Protruding Eyes". The headlights at Locomotive End 2 and 1 can be turned off separately in digital operation. When the headlights at both ends are turned off, then the "Double 'A' Light" function is on at both ends. Maintenance-free warm white and red LEDs are used for the lighting. The cabs and engine room have interior details. 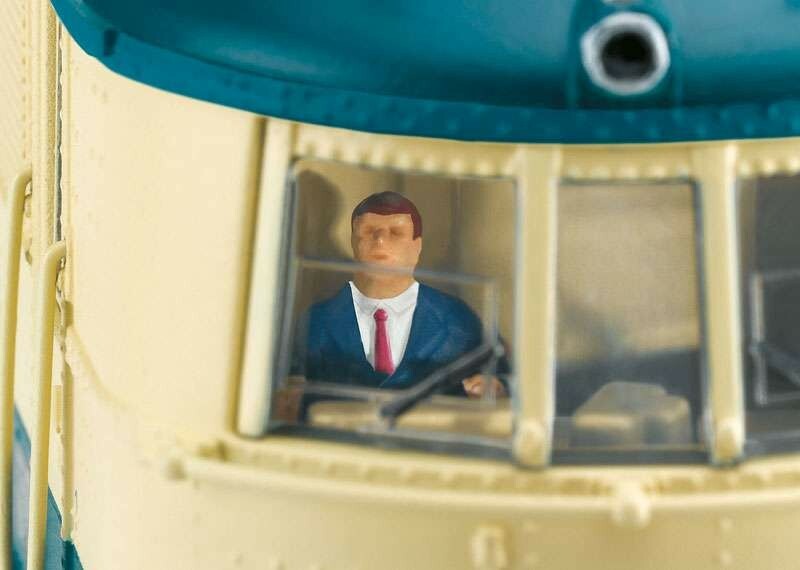 The locomotive has a factory-installed figure of a locomotive engineer in Cab 1. 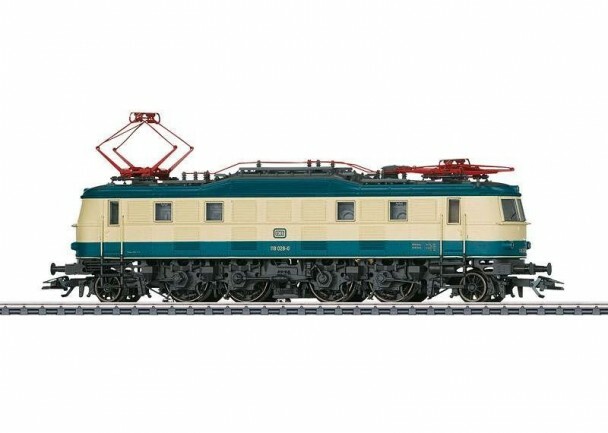 The locomotive body has numerous separately applied details. The locomotive has prototypical double arm pantographs. The locomotive frame is finely detailed with a prototypical reproduction of quill drive driving wheels. The metal buffers are separately applied in convex and flat versions. Length over the buffers 19.5 cm / 7-11/16". So-called "Protruding Eyes" on the lower headlights. World of Operation mfx+ digital decoder and for the first time a variety of operating and sound functions included. Figure of locomotive engineer included in Cab 1.